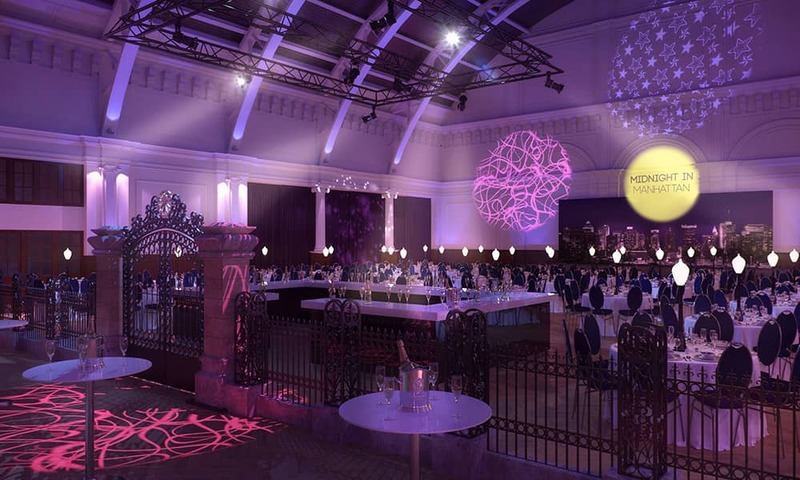 This year's party takes place in the stunning Lindley Hall – a beautiful high-ceilinged event space at the London Royal Horticultural Society. The venue is dressed to match the theme, ambient lighting and table centres. 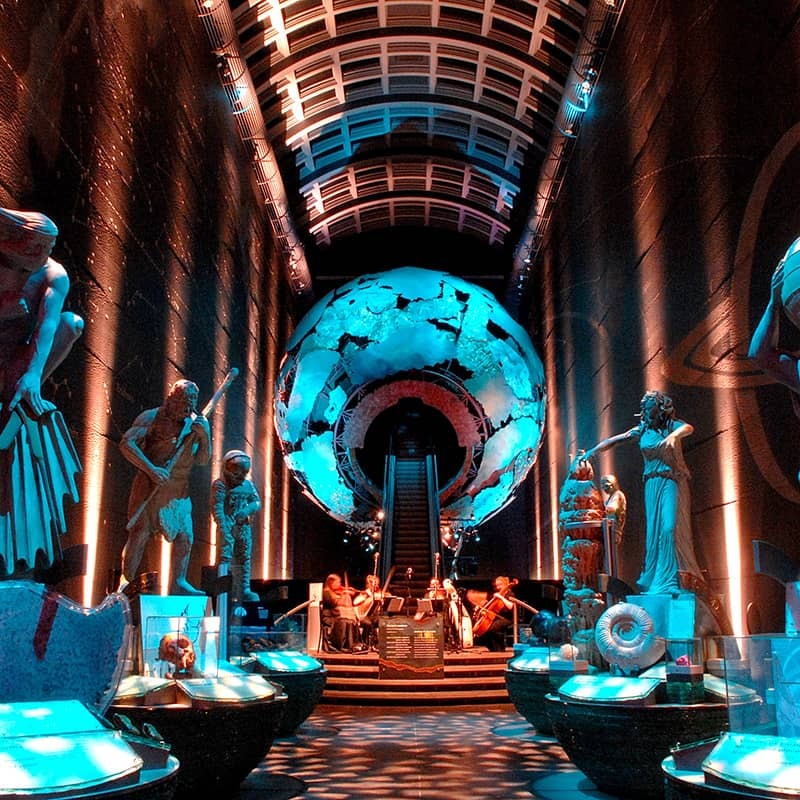 Guests enjoy a prosecco reception before crossing into the main dining space where aerial artists will perform overhead. 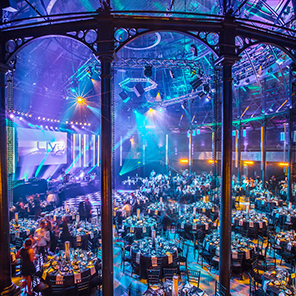 As the gates open to reveal the beautiful dining hall complete with fabulous linen, illuminated table centres and a themed backdrop to the main stage. 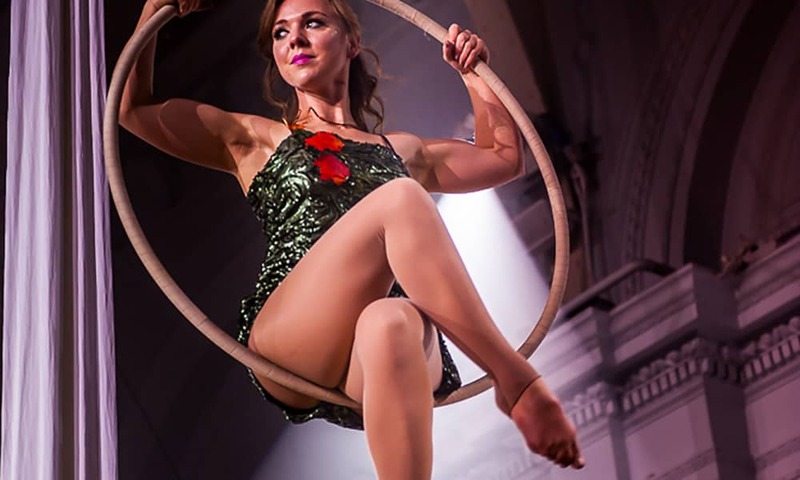 A three-course delight or bowl food selection served by our bell-boy waiters and waitresses during which amazing aerial acts will take place above your heads! Once the feast is over our master of music will start the disco and guests head to the dancefloor to dance the night away! Or why not hail some friends and jump inside our fantastic photobooth? Our 2017 dates & prices are yet to be released, please call the office on 01273 858206 if you have a specific date in mind. Dates are subject to availability at time of booking. Where's the Christmas Party at the Lindley Hall? What's included in the party?